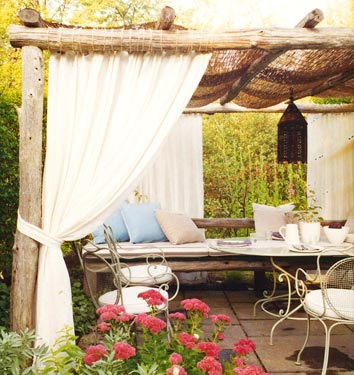 Sharing one of my favourite obsessions in life - The Daybed. 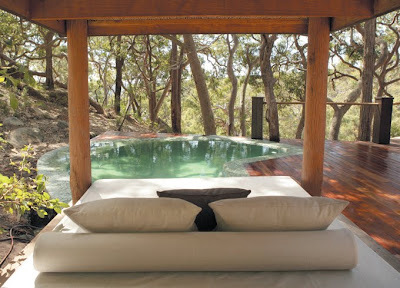 Every home has to have one and here is the perfect inspiration to make your own corner of paradise. Life is meant to be lived well and a daybed is all about the art of living. Filled with excited plans for an adventurous new life we had headed North across the border on a holiday to Peregian Beach. Instead of just imagining and dreaming - We wanted to try out our new life and see if it fit. This trip would introduce our new lifestyle to our three children and fearless romantic husband who had agreed with my fabulous relocation plans unsighted! Let's just say that as tour leader and instigator of this whole crazy dream, I hoped things would go well. Ruby two shoes was not yet one, I was sleep deprived and had taken quite a leap! I had found a house surrounded by vines and pandanus palms a stone throw from the beach. The back deck looked out to the mountains and after stocking the fridge we lay back in the balmy evening air with a glass of wine and thought wow - this could be home. Our first full day – Sunday, found us sitting in Peregian Beach Park with a bottle of wine listening to live local music, picnicking in the sun. Generations of families surrounded us on the grass enjoying the festive atmosphere. We were witnessing the famous local Peregian Originals concert. As I bounced Ruby on my hip, I thought,‘this is perfect!This was definitely the best of my many impulsive decision so far!’ Here we were, dancing on a Sunday afternoon watching a community that twice monthly enjoyed beautiful local markets in the park in the morning and then gathered together to celebrate original live music alfresco in the afternoon. We could definitely be part of this village! My English husband has been hankering over that perfect village feel his whole life. I wanted something beautiful, inspired and alive. A place with a real sense of home which would be the backdrop of my children growing up and hold memories on every corner. Our visit was going well. The icing on the cake was fittingly delivered on my Birthday. 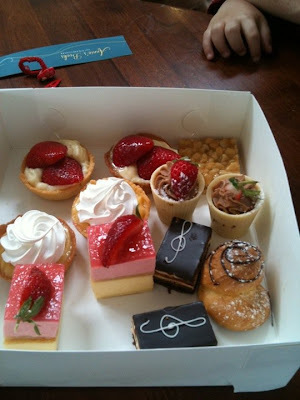 Hubby had strolled into the village early for coffee, papers and a sublime box of just made pastries from Le Bon Delice. As I looked at the gorgeous treats inside the box, he exclaimed he had just had random conversations with three different people in the village and it wasn’t even 8am. He had found his village! So now here I am in the village, sitting sipping tea under a gorgeously ostentatious red umbrella at Shanghai Sally’s Tea & Furniture Emporium. My son is sitting in an equally eccentric throne enjoying a book from the cute Annie’s bookshop next door. We may have settled in the beautiful hills above Noosa but this will always still be my local village. My perfect village just has to have a square and this one is filled with beautiful exotic Pandanus palms and small children. The locals spill out under the awning of Baked Poetry cafe devouring slices of decadent cakes. Later couples and families sit on the funky shaped tables placed around the square with Wahoo seafood’s take away Fish n’ Chips and a glass of wine. Children scooter and laugh and play. Adults meet up and chat and the balmy evening air will be filled with the sounds of a community. One day sitting in the magical park by the beach, hundreds of tropical blue Butterflies flew from the National park over our heads. We were speechless..
That gorgeous French Patisserie – Le Bon Delice tempts from around the corner with just baked baguettes or croissants. 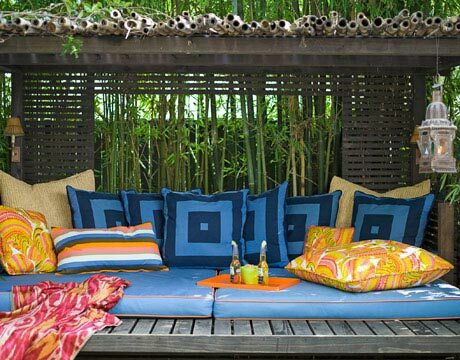 Beautiful boutiques entice with clothes for a Noosa lifestyle and Design & Home Furnishing stores satisfy the interior designer in me. A children’s boutique for those first Ruby red shoes? 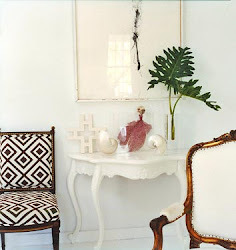 Or a coconut for the coffee table at home – it’s all here – and what a laid back and lovely way to shop! The storeowners here recollect with a friendly knowing smugness their journey to relocate here from all over the country. The day I received a ‘Locals’ discount at the beautiful Style Workroom was a very proud moment. I just wanted to sink into my localness forever. I am just so proud of this magic spot, especially after searching worldwide to find it! 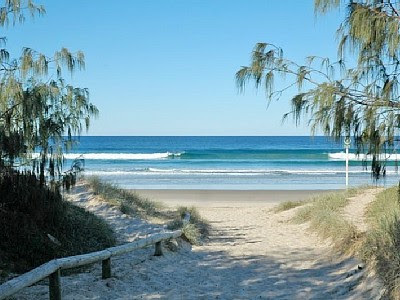 Peregian beach is located between Coolum Beach and Markus Beach. 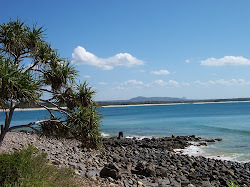 13km south of Noosa. 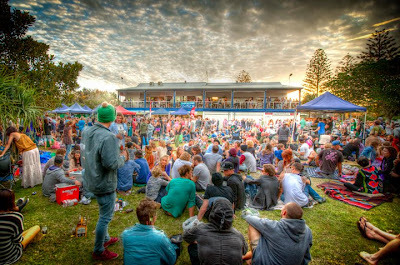 Peregian Surf Life Saving Club is proud to host the Peregian Originals live music in the park. Bring a picnic, a rug and your fellow music lovers for a relaxing afternoon of original live music. 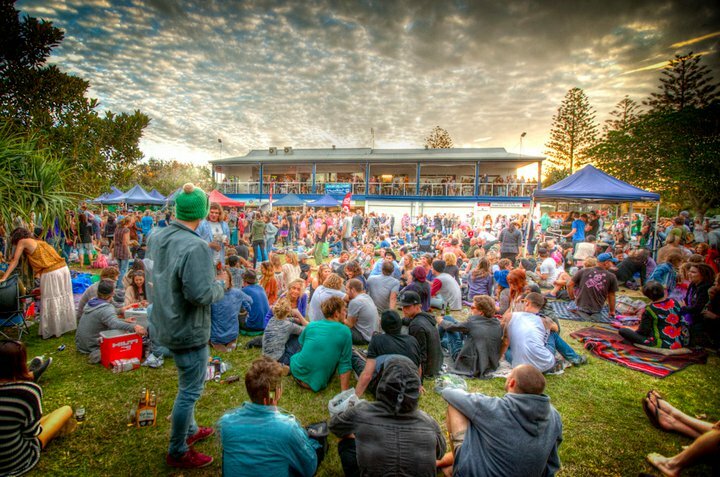 The Peregian Beach Markets are held the 1st and 3rd Sunday of every month, and every Sunday during the December/Christmas period, in the beautiful surroundings of Peregian Park on Kingfisher Drive at Peregian Beach. I am dreaming of a vegetable patch. 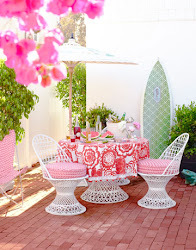 A rambling flourishing patch of paradise where we can go choose what’s for dinner and dessert. 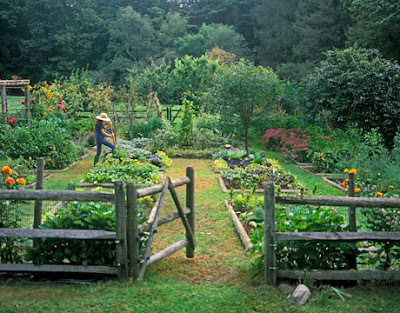 With pumpkins and strawberries lazily scattered between neat rows of lettuce & tomatoes bursting with ripeness on a vine. My vision is so romantic, effortless and alive! I dreamt, I planted seeds…I was perhaps a little over ambitious. The truth that I actually downloaded a how to grow a vegetable garden app. on my Iphone speaks volumes about the city girl within. On my bedside though is a gorgeous English encyclopaedia titled ‘How to be Self Sufficient’…I am now studying to find my country roots. I was fascinated to learn that the legend who wrote this book actually started a school on how to be self sufficient in Ireland for novice unlearned city folk like me. What was really fascinating was that the person who co wrote the book was a student of the Guru and ended up having children with the guru’s wife..It seems a lot of complicated passionate love was happening on that farm/commune/school. That may be the secret - passion in the garden? Life on our hill is already abundant with food. Our first baby pinapple was like our pet. We visited it everyday. We weren’t quite sure what to do with it until someone told us that if a top leaf pulls out easy it’s ready. The night we ate that pineapple fresh from the ground was like an epiphany. It was sublime – so fresh and gorgeous and then it was gone. Did you know it takes a year to grow a pineapple? From that moment we were hooked. We needed to grow more food on this hill.Around this pineapple patch I decided we would grow utopia. Free, gorgeous, healthy food! I planted a sea of rocket and am amazed that it grew. Ruby two shoes helps me collect it in a wicker basket and we eat it straight away. Carrots are teasing us from under the ground with fluffy shoots – Success! But hmm..when are they ready? Why do I have no idea about this simple part of life - the growing of food? Suddenly it is like we have forgotten the basics of living that long ago everyone knew…So for now my new vegetable patch is well..patchy. 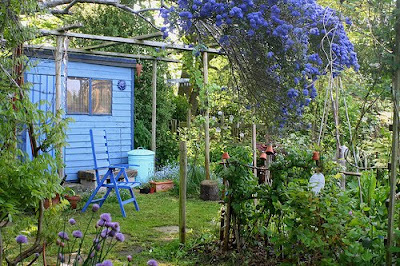 I read that the whole process of gardening is organic – you can’t just be an expert overnight. This non expert excitedly tried to make Caipiroska with all the green lime looking fruit in the orchard before realising all fruit starts off small and green. Unripe Ruby Grapefruit do not make a great cocktail…..